The Tennessee Society of Student Pharmacists (TSSP) Winter Meeting was recently held in downtown Nashville at the Double Tree Hotel. Eighteen students from Belmont University’s College of Pharmacy attended to learn more about TSSP and advocate for the pharmacy profession. 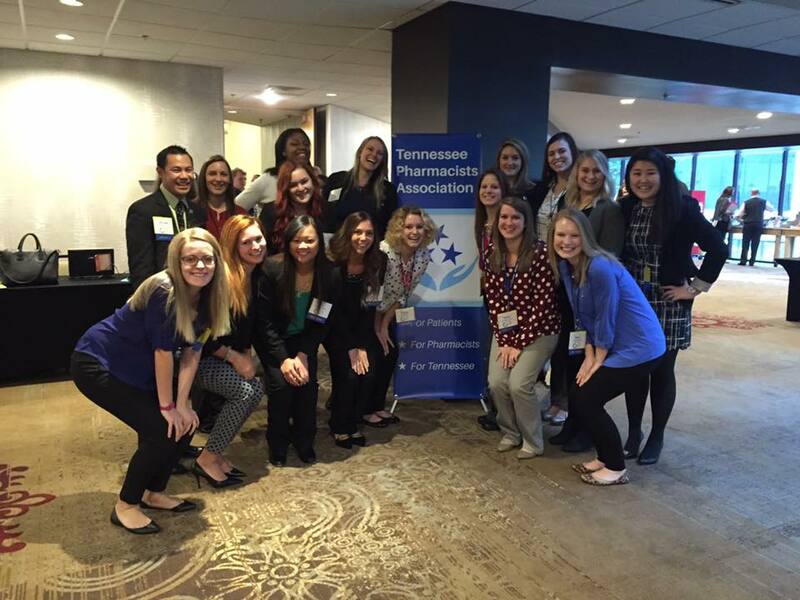 The Winter Meeting brings student pharmacists together from across Tennessee to engage in current legislation, build relationships and advocate for the pharmacy profession. At the meeting this year, APhA Foundation Resident Brian Donahue, PharmD served as the keynote speaker. Donahue spoke on the event’s theme, “The Time is Now,” and described opportunities in the pharmacy profession and how to act on them. There was also a presentation on the past, present and future of TSSP, where Blalock spoke. Other presentations focused on “Building an Innovative Practice,” “Being the Leader of Tomorrow Today,” and “Making the Most of Your Residency: Transitioning to the Workplace” by utilizing pharmacists and students to lead panels and hands-on activities. The programming also included a workshop, lead by TPA Director of Pharmacy Practice Initiatives Lucy Adkins, PharmD, on how to effectively advocate for the pharmacy profession. The meeting concluded with Blalock delivering her presidential speech and the TSSP Executive Committee transitioned leadership utilizing an Oath of Office led by Blalock. TSSP continued a tradition of organizing a Legislative Health Fair at the State Capitol where students from every school or college of pharmacy from across Tennessee participated. Five Belmont students attended to check blood pressures and educate legislators on Medication Therapy Management. Three students participated in the TPA House of Delegates where two resolutions were proposed, voted on and passed. The first resolution honored Dr. Larry D. Calhoun (dean of ETSU) for his dedication and for winning the APhA-ASP Outstanding Dean Award. The second allowed pharmacists serving as preceptors to claim five hours of non-ACPE continuing education credit for precepting students per renewal cycle. The next meeting for TSSP is in July.